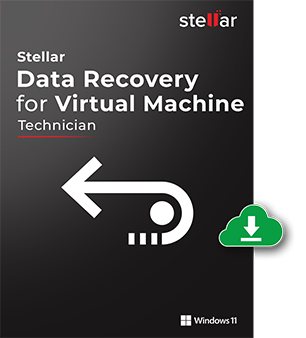 Stellar Data Recovery for Virtual Machine software to recover lost and deleted data from VMware (.vmdk), ORACLE (.vdi), and Microsoft (.vhd) virtual image files. *Download the demo version to scan & preview your data. This Virtual Machine Recovery tool offers the advantage of recovering all the lost and deleted data from a machine installed with any of the prominent virtual system software, such as VMware Virtual Machine, ORACLE VirtualBox, and Microsoft VirtualPC. You can recover all your data including the Office files, database files, Image, audio and video files, backup and archive files, and any other files. Recovering lost data with this software is super easy. Sometimes there are cases of severe data loss from all system installed with VMware virtual application with .vmdk extension. The vmdk data recovery software specifically searches for this extension and then employs its special recovery algorithm to fetch every piece of lost data from the system. The tool supports ‘Monolithic Flat’, ‘Monolithic Sparse’, ‘Two GB Max Extent Flat’, and ‘Two GB Max Extent Sparse’ file types. VirtualBox from ORACLE is one of the most widely used system virtualization software. At times, users experience rigorous loss of their data from the VirtualBox installed machines due to reasons, such as operating system crash. The software is developed to recover from .vdi files for all VirtualBox applications. 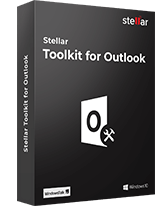 The VirtualBox file types supported by the software are ‘Static’ and ‘Dynamic’. 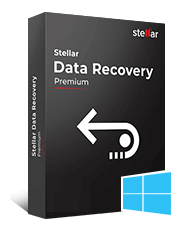 Stellar Virtual Machine data recovery software exclusively supports all lost data recovery from systems with Windows Virtual PC application. The tool supports seamless data recovery from .vhd virtual machine disk image file type. The Virtual PC File Types supported are ‘Fixed’ and ‘Dynamic’. 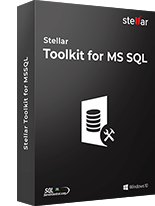 Stellar Data Recovery for Virtual Machine can recover the data from the virtual disks (volumes) inaccessible on the virtual machine due to corruption. In addition, the tool is independent on the operating system that is used to create the virtual volume. After the recovery of the lost data is done, you can save it to any location of your choice in the local hard disk or in the FTP server. To save space in the destination drive, you can further compress the data. You can compress each of the files individually or zip them to a single file. This virtual machine data recovery software offers two Scan types: Quick Scan and Deep Scan. Quick Scan is fast and recommended while Deep Scan is slower than Quick Scan but gives better results in comparison with Quick Scan. Does the software recover data from a virtual machine due to formatting? 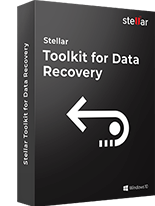 Yes, Stellar Virtual Machine Data Recovery recovers all data lost due to formatting of any of the virtual drives. What, if I have deleted one virtual drive volume from my system - Can Stellar recover the lost data? Yes, definitely. In the case of volume deletion, you need to go for the option – 'Click Here to Search Lost Volume' under 'Data Recovery'. Which all partition systems does the software support for recovery? 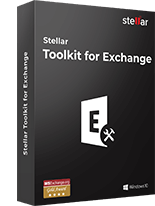 The software can seamlessly recover from all virtual machine drives emulated on FAT16, FAT32, NTFS, exFAT file, and NTFS partition systems. Can I recover a specific file by help of this software? Yes, you can recover specific files with the help of this software. Once the scanning of disk is completed then select the file that you need to recover and click on the 'Recover’ button to save the file. I have deleted a volume from a virtual machine. Can I recover the files from it? Yes, click on 'Click Here to Search Lost Volume' option under 'Data Recovery' head to find lost or deleted virtual volumes. What is the difference between quick scan and deep scan? Quick scan is a faster scanning option. If the files are not recovered using this scanning option, then you can use deep scan, which uses a different algorithm to search lost data and deliver better results. Stellar Data Recovery Technician recovers lost or inaccessible data from RAID 0, RAID 5 and RAID 6 d..